Each Father's Day weekend, antique dealers from all over the country set up shop in historic Walnut, Iowa, for the annual Walnut Antique Show. The show's official name is the Walnut AMVET's Antique Show, but many people call it the Walnut Iowa Flea Market. The Walnut Antique Show typically hosts more than 50,000 shoppers each year. In addition to the antique finds, they go for the festive street-fair atmosphere and turn-of-the-century, small-town charm. The Walnut Antique Show is held each Father's Day weekend, Friday through Sunday. Go hungry. Local organizations and bistros set up more food booths than you can sample in one weekend. While you're in Walnut, visit the town's year-round antique stores for more fantastic finds. Plan to stay for the weekend. You can't browse everything properly in just one day. Take a folding cart with wheels to keep your hands free for shopping. A measuring tape and your existing home and furniture dimensions may come in handy as well. Plan to haggle at the antique show, but expect the best deals on Sunday. The show ends at 4 p.m., and the bargains get better as the end of the show draws near. 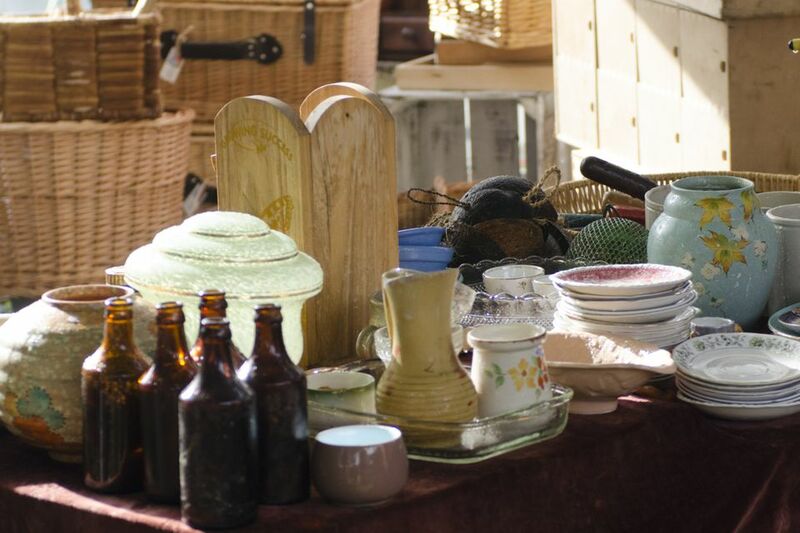 Brush up on your flea market shopping skills before you go. Make an honest assessment of your DIY skills if you plan to look at pieces you'll have to update or repair. With so many potential finds in one location, it's easy to be overwhelmed. Although it's fine to fall in love and buy something unexpected, make a list of the things you're most hoping to find to keep you on track the rest of the time. For more information, visit the Walnut Antique Show website.